It's my birthday tomorrow and I've got an early birthday present to show today. 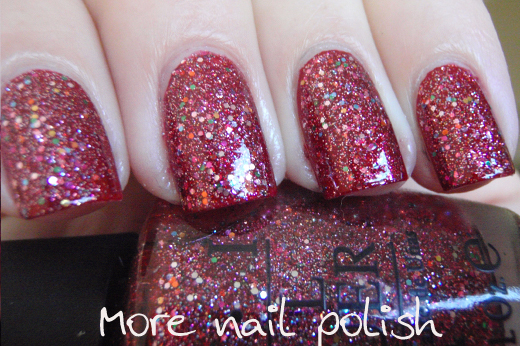 I wore one coat of a dollar shop polish brand called NURY in Metal Red. This is a gorgeous colour, but I didn't remember to photograph it on it's own. I then layered two coats of OPI Excuse Moi, then gelous, then Seche Vite top coat. This layering was so pretty. My photos just don't do it justice. 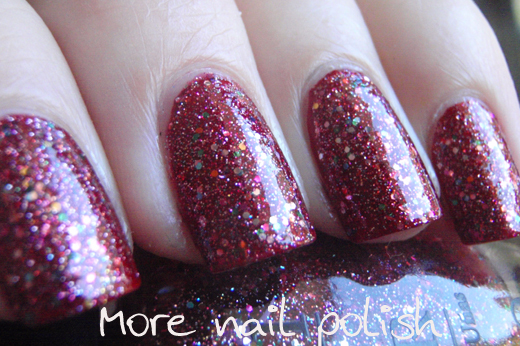 Excuse Moi is such an interesting polish. It's opaque enough to wear on it's own in two coats, but it also is perfect for layering too. 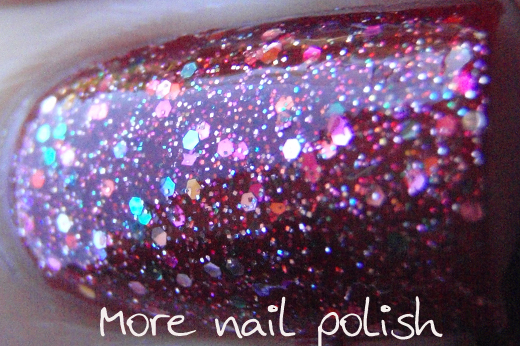 Because of it's pink base, I didn't realise there were so many interesting glitter colours in this polish until I got the macro shot. I think that is why it looked so pretty on the nail. I only took this off cause I scored a bottle of Essence Blue Addicted at Target yesterday and I had to kill that Across the Universe lemming immediately! I will be putting this laying combo back on again soon. Love it! happy early birthday, hope you have a great day tmr :)!! wow i'm so in love with the muppets collection, it looks great! Happy early birthday!And the layering was really really beautifull! This is a really gorgeous combination. It really gives Excuse-Moi more depth and I like that. Happy early birthday! 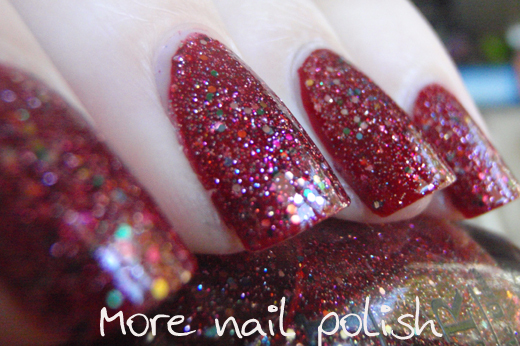 Happy birthday my dear....glad you love the polish - it looks awesome. Love from muggle-no-more. Happy Birthday!! Hope you have a lovely day :) Looking forward to the other swatches. Thank you all very much for your birthday wishes. Happy Birthday! That's an awesome mani! Happy bday for yesterday! 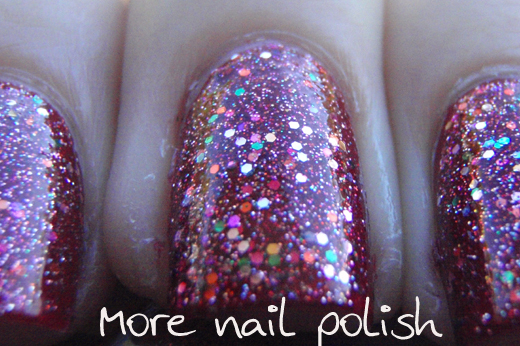 Those OPPI muppet nail polishes looks good so far, cant wait for other swatches!